Many artists and crafters find that connecting to nature cultivates creativity. 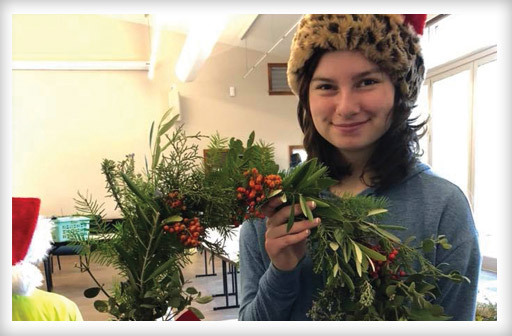 Experience some fresh-air inspiration yourself at the Seasonal Greetings Hike and Wreaths workshop at the Hopland Research and Extension Center (HREC) in Hopland. You'll get to take a walk around the HREC property, letting madrone berries and clumps of mistletoe put you in the holiday mood, and then make a wreath from local foliage. Materials and warm apple cider will be provided. The event happens on December 8, 10 a.m.-noon, and is $25. Proceeds go toward the center's educational programs and fire recovery efforts. Register at hrec.ucanr.edu.